Ceiling treatments? What a cool way to add some unexpected pizzazz to your room. 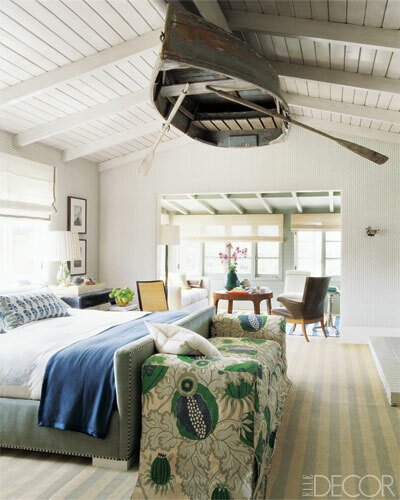 Re-doing a ceiling is maybe something most of us don’t think about when re-decorating a room. 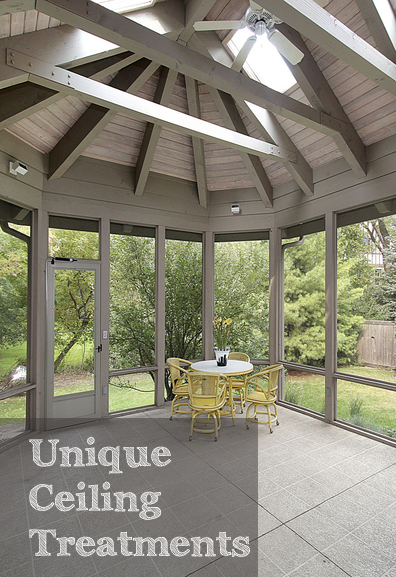 It’s a great way to fix flaws or cracks or just add a coziness and warmth to a space. 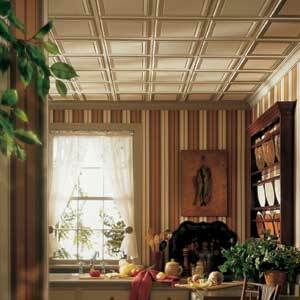 Pressed-Tin Panels. Very popular for a country look. Not just country though. I love mixing and matching genres. And, done properly, can look really cool. 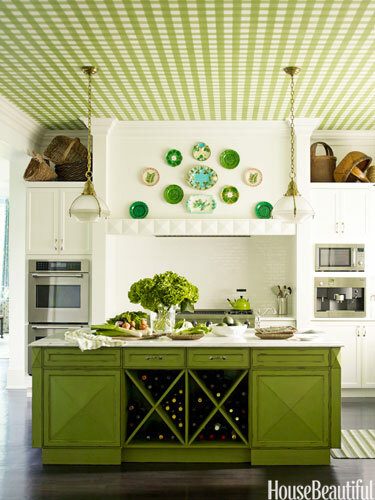 I can picture a tin ceiling in a very contemporary black and white kitchen. They are not expensive at all if you’ve priced them. I have seen them at Lowe’s and Home Depot. Of course, they are plastic not tin, but who will know? 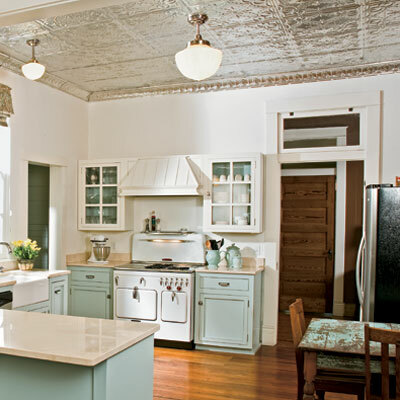 Authentic tin and copper ceilings can be very pricey, but if you can, hey, go for it! Wallpaper. Very cool on a ceiling. Definitely a two-man job, with at least one of those “men” being very patient. Beams. My personal favorite. We’re doing a couple in our basement even though we have low ceilings. There are a couple of support beams that we are transforming to look like we planned them…he-he. Tongue and Groove. I love this look, especially in an inglenook (fancy word for small room off the side of another larger room) or a bedroom. 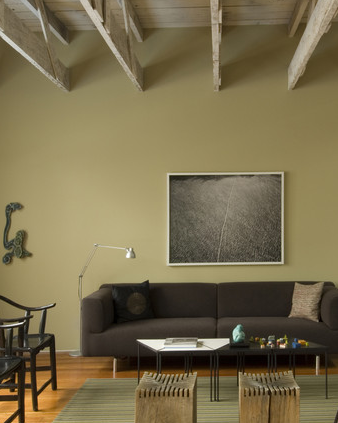 So next time you’re in the mood for a change or if you are already in the middle of renovating, don’t forget the ceiling. It might offer a fun opportunity for an unanticipated change.